Similar to April, inventory conditions in Pacific Union’s Bay Area regions in May were almost uniformly down year over year except in the East Bay, where the number of homes for sale improved only slightly from last spring. The lack of homes for sale pushed prices higher from one year earlier in nine of 10 regions. Click on the image accompanying each of our regions below for an expanded look at local real estate activity in May 2017. May’s median sales price in Contra Costa County was $1,229,500, about $20,000 short of the yearly high recorded in the previous two months. Sellers took in 101.3 percent of original prices, nearly identical to numbers from both April of this year and May of 2016. At an average of 19 days on the market, homes sold at the fastest pace of sales since last May, while the months’ supply of inventory (MSI) fell to 1.3. 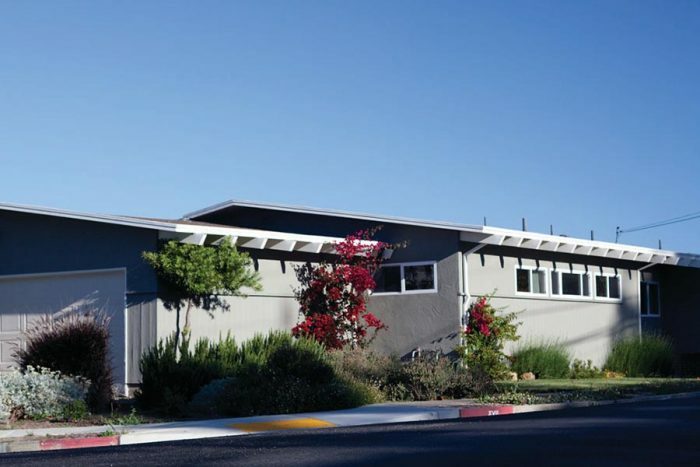 The median sales price in Pacific Union’s East Bay region climbed to $1,175,000 in May, the fourth consecutive month of increases and a one-year high. Sellers continued to enjoy the largest premiums in any region in which we operate — an average of 117.3 percent of the asking price. Supply conditions remain at stubbornly low levels, with the region’s MSI ending the month at 0.9. Homes found a buyer in an average of 20 days, in line with the pace of sales recorded over the past year. Single-family homes in Marin County sold for a median price of $1,365,000 in May, a one-year high. For the second time in the past year, homes traded at slightly higher than original prices, an average of 100.5 percent. Homes left the market in an average of 37 days — identical to April’s sales pace — while the MSI was 1.4, up slightly from the previous month and down from one year earlier. At $675,330, Napa County‘s May median sales price hit a one-year high by just a few hundred dollars. The MSI fell to 2.4, down on a monthly and yearly basis. Homes found buyers in an average of 72 days, and buyers paid 96.5 percent of asking prices. The median sales price for a single-family home in San Francisco surpassed $1.5 million in May to reach a yearly high. The pace of sales was also the fastest recorded in the past year, with homes leaving the market in an average of 24 days. Homes continued to sell above original prices — an average of 110.4 percent — and inventory remained scarce, with the MSI ending the month at 1.2. At $1,200,000, San Francisco’s median condominium price was just $10,000 shy of the one-year high observed in February. With a 1.5-month supply of inventory, the number of homes for sale was roughly half of what it was in the first two months of 2017. As with single-family homes in the city, condominiums have commanded premiums for the past year, and sellers took home 103.7 percent of asking prices in May. Units sold in an average of 34 days, nearly identical to the pace of sales in April and May 2016. After less competition in the second half of 2016, homes in Pacific Union’s Silicon Valley region sold for an average of 101.3 percent in May, the fourth straight month of premiums. At $2,940,000, the median sales price was only $12,500 below its one-year peak, and the region remained the Bay Area’s most expensive. The pace of home sales slowed from earlier in the spring to an average of 26 days. The MSI was 1.4, down on a monthly and annual basis. Pacific Union’s Mid-Peninsula subregion had the Bay Area’s slimmest inventory conditions in May, with an MSI of 0.8. Homes also sold faster than in any other region — an average of 16 days. Both the median sales price and premiums paid hit yearly highs, a respective $1,890,000 and 107.6 percent. The median sales price for a Sonoma County property ended May at $625,000, up a few thousand dollars from the previous month. Homes sold in an average of 47 days, the quickest sales pace observed over the past year. Buyers continued to pay slightly less than original prices — 97.9 percent in May — while the MSI decreased on both a monthly and yearly basis to 1.8. Properties in Pacific Union’s Sonoma Valley region left the market relatively fast in May, selling in an average of 47 days, the quickest pace of sales recorded over the past 12 months. The median sales price in the region can vary significantly from month to month and ended May at $659,000. With an MSI of 2.7, there were more homes available in the region than in April but less than in May 2016. Buyers paid an average of 95.4 percent of list prices, generally in line with what we have observed for the past year. The pace of sales for single-family homes matched its yearly low in our Lake Tahoe/Truckee region in May, with properties finding a buyer in an average of 69 days. Homes sold for 96.3 percent of original prices, more than they did in April or in May of last year. The median sales price was $722,500, a year-over-year gain of nearly 26 percent. The region had a 4.9-months supply of single-family homes for sale, down on both a monthly and yearly basis. Condominiums in the Lake Tahoe region sold in 57 days in May, more than twice as fast as they did one year ago. With a 6.8-months supply of inventory, the region had significantly fewer condominiums for sale than it did in May 2016. The median sales price declined for the second straight month to $399,900, and buyers paid 97.3 percent of original prices. Previous PostPrevious How Much Do Utility Bills Add to Bay Area Homeownership Costs? Next PostNext You’re a New Homeowner? Congratulations! Now Get to Work.